We deserve better than second-class citizenship! We're stigma-busters, dedicated to ending bigotry against cannabis consumers and standing up for adult pot smokers everywhere, whether their use is medicinal, religious or personal. Feels good -- no hangover! Legalize adult use of cannabis! Pot Pride: The video. We like it. Available at www.openmondays.com/videos.with PayPal and ready to go. An overview of the Seattle Hempfest 2002. Why should the tobacco users, alcohol drinkers and abstainers get all the freedom? 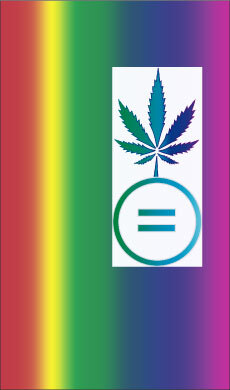 Equal Rights for Pot Smokers! What's It Like To Get High on Marijuana? How Can I Talk to my Kids About Pot? Stop hassling our friends who toke. It's just a plant, so leave 'em alone already!